As B and I are going through the process of buying our new house, we’ve learned quite a few things along the way. One of the ones we knew all along was, roughly, the budget for our new house. Before even thinking of buying a new house, it’s imperative to look at your finances first. One of my favorite ways to determine a rough budget estimate is using Zillow – you can find homes you like, and Zillow will help you break down the cost of your mortgage, depending on how much money you’re able to put down, your interest rate, and the cost of the home. After that, though, what’s next? You’ve found the perfect house, it looks like you can afford it comfortably, and you’re ready to go, right? Not quite! 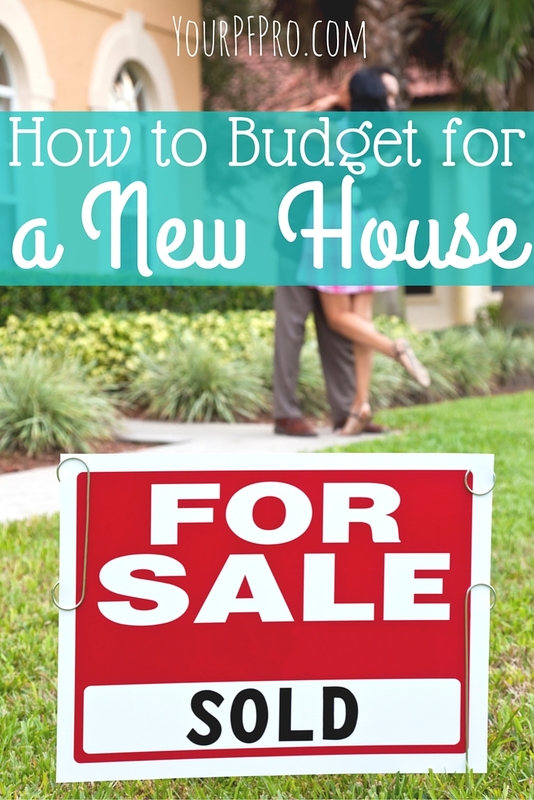 Here are a few tips to budget for your new house, and share your thoughts in the comments! If you’re really serious about purchasing a house in the next year, consider going to a lending company and getting pre-qualified. You can do this through your bank, a local credit union, or any of the third party companies that issue these qualifications. Getting pre-qualified will show you how much house you can afford according to your salary and credit score, and it will give you very good insight into what you’ll qualify for in the future (if you don’t end up buying a house within the following months after getting pre-qualified). Even if you don’t get pre-qualified, you can still get general estimates from sites like Zillow, Trulia, and Realtor.com. From these sites, you can type in the cost of a home you like, your estimated interest rate, and how much money you will put down on your new house. From there, you will get an estimate of your monthly mortgage payment. In the majority of cases, you will have to put some amount of money down for your new house. This is your down payment, and can be anywhere from 3% to 20% of the purchase price of your future house. While 20% is recommended for a conventional loan, that’s not always possible for new home buyers. Even if you can’t save up 20% for your down payment, you’ll have to have something saved. In an upcoming post, I’ll cover how we saved up for our new house, but until then, check out these posts from Harry on saving money. If you’re struggling to afford buying your own house, check out my recent post on options for new home buyers to afford their own home. After buying a new house, your lifestyle may change. If you were paying $500 a month in rent before buying a home, which now costs you $1200 a month, there may be some expenses you need to cut back on. Consider what is absolutely a must have. For B and I, having a pool was incredibly important. We did our research on how much it costs to maintain a pool (a lot) and determine what we could do with our own sweat equity versus hiring someone to maintain a pool. It turns out, you can do a lot on your own, but occasionally paying for a company is worth it. However, owning your own pool is expensive, so we did have to cut some things out of our budget. In general, B and I like to go out once a week and take a few trips during the summer. Since we have our pool, and a grill, we’re cutting back on how much we’re going out (because duh, grilling!) and we’re cutting back on how frequently we travel. Usually we would take a few staycations here in Phoenix, but since we have a pool… no need for a staycation! By determining what we were willing to spend on (the pool) and what we could cut back on (going out to eat, more frequent travel), we’re able to have our pool and not stress out about that expense. When it comes to saving for your new house, there are a lot of ways to incorporating the budgeting strategies outlined here on Your PF Pro. However, sometimes budgeting for a new house requires you to be more strategic to make the best decision for you and your family. 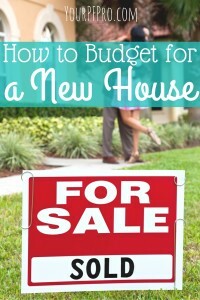 If you’ve bought a house, what budgeting strategies do you recommend for new home buyers? If you are looking to buy a new house, what questions do you have?